Travel | Henry's Foxhole "aka Fuxagufer West"
After skiing in Davos for two weeks we took the train back to Zurich and then to Lucerne to visit another good friend. We arrived to cold, damp weather but still enjoyed our visit! We stayed at Ameron Hotel Flora Luzern, we booked through Booking.com and the hotel was perfect! Beautiful rooms, great staff and close to old town, the Rosengart Museum, great restaurants, the main train station and buses. As in Davos, we received a free Visitors card with our hotel which allowed us to take all the Zone 10 buses and trains for free. Since the weather was rather gray, this post will be a lot of links and information with fewer pictures than most of my posts. Upon arrival our friend, Margrit, met us and we walked across the Chapel Bridge (Kapellbrucke) into Old Town. She showed us some of her favorite sights and gave us some ideas for the next day. The town is located on Lake Lucerne and the Reuss River flows out of the lake. We took a delightful detour over the Spreuer Bridge (Speuerbrucke), past the Jesuit Church and into town thru a pedestrian walkway with many shops and restaurants back to the main street, Pilatus Strasse. We stopped into La Vie en Rose to warm up. This is a grand coffee house and reminded me of a Vienna Cafe that was modernized. We loved it! This also brought us back into the main town and Margrit was able to show us easily how to find our hotel, the larger bus stops and pointed out where we were in relationship to the train station. From their we took a bus into the Lucerne suburbs to pick up Margrit’s car and drive out into countryside to her sisters flat. They made us a wonderful Raclette dinner and we had a wonderful time visiting with her sisters. A large visitors center is located in the Train Station. We signed up for a 9:30 am walking tour. It was great and gave us a nice orientation and history of Lucerne. We started at the train station, heard about the Convention Center, then were shown the Ferry piers and then to the Chapel Bridge. Our guide discussed the history of the bridge and water tower and the fire of 1993 which did so much damage to the bridge and paintings. Then we walked into the Old Town to see the beautiful painted buildings and hear their history. In Old Town, many buildings have ornate signs hanging that identified the business to those that passed by. Believed to be the only working Needle Dam (Nedelwehr) still in existence. Installed in 1859/60 it still regulates the water flowing into the river. However, it is not the only dam. Each ‘needle’ is a pole. The workers go out on a very narrow walkway and remove the needles to let more water flow and add more needles to slow the flow. Very interesting. The Jesuit Church (Jesuitenkirche) was established around 1666. It is still in use and just beautiful. The Easter displays in various windows were so pretty! We got as close to the walls and towers as we could with the weather. The wall built between 1350 and 1408 has nine different towers. The Zyt tower has one of Lucene’s oldest clocks and it still works! If you go in Spring or Summer, you can walk a trail along the walls and go up some of the towers. Definitely, we have to go back! Another view showing more of the towers along the wall. Each tower is different. We walked up many streets outside of the wall, this is as close as we could get to the wall and a tower. The Lion Monument (Lowendenkmal) is north of Lowenplatz. A short walk from old town and free to walk up and explore. Designed in 1820, the monument commemorates the death of many Swiss Guard troops killed during the French Revolution in 1792. We took a water ferry from Pier 1, just in front of the Train Station on the lake, to Lidostrasse to visit the Swiss Transport Museum (Verkehrshaus der Schweiz). We took the bus back and choose to take the Ferry just to get out on the lake. This museum is fantastic! I love transportation and the Swiss have some of the most efficient transportation systems we have encountered in all our travels. This museum has a gigantic space. It has more trains, train simulators and exhibits than I Have ever seen at a train museum. In addition it has separate indoor and outdoor exhibits of planes, boats/ships and space. It has numerous hands on activities. Definitely can fill a day! The ferry stop and ferry. The ferry was not part of our pass, but it was so nice to be on the water. Sample of train displays; many simulators, trains and wonderful history of Gotthard Base Tunnel which opened in 2016. This looks like a ‘Matchbox Car’ display, but this is full size cars, 7 stories tall. They bring a car out mechanically about every year and tell about its history. Navigation and Tourism building. Sorry, no indoor pictures. It was very interesting. Aviation and Space Travel exhibits were outdoor and in another large building. This area is huge, almost overwhelming with the amount of air craft in the building, plus simulators and space travel section. After the Transport Museum, Margrit and I went to visit some more of her family. We ate at a wonderful restaurant outside of Lucerne, Wirtschaft Trumf-Buur. We were only in Lucerne from Saturday afternoon until Wednesday afternoon. We packed a lot in but have much more to see in this beautiful part of Switzerland. Below are scenes of the countryside. Our friend drove us out to some of her favorite places. We also went to Burgenstock Resort to see the views. What a lovely area. I can only imagine how magnificent the views would be on a clear day. You don’t have to stay at the resort to visit. You can take the ferry and then take the funicular up and back. The Burgenstock Mountain is what gives this area its name. After a long day of sight seeing and driving for Margrit, we went to dinner at a lovely Thai Restaurant near the university area in Lucerne. Margrit headed home and we went back to pack for leaving the next morning. Overall a great time! Our parting view of Lucerne as the snow fell softly as we headed to the train station for Zurich. This was March 21, 2018. In Zurich, we stayed at the Welcome Inn which has shuttle service directly to and from the Zurich Airport. We took the train directly to Zurich Airport on Wednesday afternoon, had a relaxing dinner nearby and took the early shuttle back to the airport. A nice surprise, we were flying on a Airbus 8380. This plane has four jet-ways to load and currently is the largest passenger jet flying. It has two stories of passenger seating. It was our first time on this plane. Airbus 8380, with 3 of the four jet-ways showing. Please add your email to ‘Follow this Blog‘ for updates. We never share your email. Winter came very late to Truckee/Lake Tahoe area. We had very little snow during January and February. Luckily due to snow making, the ski season was not a bust. In March, we had made plans to go to Davos, Switzerland to ski with dear, longtime friends. Of course, it started snowing in Truckee/Lake Tahoe area the moment we left town. Hopefully, for those in California they enjoyed the new snow and lovely powder. We enjoyed new snow in Davos and some brilliant days. Snow can be a lucky omen. While the snow at home was much appreciated, even more so we appreciated escaping the East Coast just hours before a ‘nor’easter‘ arrived to shut down most of the eastern USA. We traveled from San Francisco, CA via Newark, NJ to Zurich, Switzerland so we were very lucky to make our flights. While we were gone, the east coast had two more huge storms and delayed many flights when we planned to come home too. Again, luckily we had booked a Zurich-London-San Francisco flight and left a day after the last big east coast storm. Coming down the mountain in the Parsenn Bahn with Davos below. The Davos-Klosters valley area is rimmed with mountain ski and boarding resorts which are all accessible with one Regional Ski Pass called a ‘Rega’. The Rega also gives the holder access to trains and buses between the ski towns and within the towns. So once you reach Zurich, you don’t need a car for anything! To get to the region we bought round-trip train tickets from Zurich Airport Railway (just downstairs from baggage claim) to Davos. Then we used our Rega and Hotel Bus Pass for transportation all over the region. On this website, you can see the ski pass fees and the Regional Pass which you can purchase for consecutive days. Don’t worry that you may not ski or board one day. There are plenty of gondolas and lifts that take you around the mountains with just your walking snow shoes. You still generally come out ahead with this access plus being able to ride the local trains and buses. Often these hotels will offer some free additions such as regional ski pass or breakfast along with accommodation. It is worth checking and asking for any special promotions. Booking.com, hotwire.com and other traditional web accommodation sites can also be used to price compare. We stayed at the Gemsli, a small pension. This hotel has rooms and guests share the facilities. A few blocks walk from the Davos Dorf Train Station. Davos (yes, the same town where the World Economic Forum is held yearly) is constantly in flux. Some old building remain, many modern structures from the last 40 years are regularly torn down and modern structures are added. But the town still retains a small town feel and has many quaint features. Parsenn Hotel with snow on the roof and entrance to the Parsenn Bahn across the stree. Old house, along the main road with owls carved into logs. Most likely to protect the garden. We generally start out the trip with a day to rent skis and poles, get our regional passes and take a walk around Lake Davos, ‘Davoser See’. The lake is partially drained at the start of winter. Often freezes enough to walk on and has a beautiful walking trail away from traffic. Below are some pictures from different ski areas. Rinerhorn, probably the least crowded of the mountains. It has one main gondola with a run back down to the gondola entrance and many runs reached by T-bar lifts. It also has great sledding tracks. Jakobshorn, is another great mountain. It has great skiing, restaurants, activities and walking trails. We skied there two days, but one day was lots of snow and the other was skiing so not many pictures. A few of us decided to just go for a walk on Jakobshorn and it was a beautiful walk. We took the chair lift up to meet the group at the restaurant for lunch and then walked down to Cavadel and then took the bus back to town. Another day when it was snowing a lot, we took the train from Davos Dorf to Klosters and walked around then took the train back to Davos Dorf. Train pass was included with our ski and bus pass. We also took a bus out to Madrisa ski area to look around. You can either ski down to Klosters from Parsenn runs and then take the bus to Madrisa and ski or just take the train and bus to the Madrisa ski area. Unfortunately, it was snowing so hard that we didn’t see too much on the gondola ride up and down. Our group did not make it back to that area to ski another day so I don’t have pictures. Parsenn ski area is the largest area and has the most runs. It seems like the runs go on forever and it has many mountains to cover. Parsenn is reached by either the Parsenn Bahn which is a funicular railway in Davos Dorf or by the Gotschna Cable Car from Klosters. We skied here many days. If you are not skiing, you can see much of the mountain and get to many mountain restaurants by taking the Parsenhutte Cable Car or the Schifer Cable Car. A friend and I took this trip on the Schifer without skis and had a lovely day! A few pictures of the run from Parsenn to Klosters, a beautiful long run. Following the trail down to town, then to the railroad station. The run to Klosters is always a highlight of this trip as you get to ski so much different terrain and have so many beautiful views. Part of the group took the Gotschna Cable Car back up to the mountain to continue skiing and others took the train back to town. From Parsenn you can also ski down Wolfgang and take a bus to Davos or ski down to Davos from the Rapid ski run at the top of the bahn. These runs are definitely advanced intermediate or expert depending on your definition. Another place to see great views is to take the Parsennbahn down the mountain in the front car. The trains meet along the route and on a clear day the views are amazing. I hope this gives you a taste of the beauty and vastness of skiing from Davos, Switzerland. My next post will be of the last few days of our trip in Lucerne, Switzerland. We have good friends that moved to Burley, Idaho a few years ago. Life seemed to keep getting in the way and delayed our visit. Finally, the timing was right. Southwest Airlines had some great fares and we decided to go visit them last week. So glad that the weather cooperated too. It was clear and crisp and perfect for flying from Oakland, CA to Boise, ID then renting a car for our visit. It has been at least 20 years since we have been to Idaho. I’d forgot about the driving distances. Luckily with good friends, good roads and good weather we enjoyed the trip. Southern Idaho is high desert. Lots of open space, beautiful skies and large gorges created by the Snake River. We spent a few nights with our friends. A big thank you to Karen and Steve for having us. Thank you for your hosting us and for a great visit. Then two nights in Twin Falls at the Fairfield Inn and Suites. A nice location, quiet and good service. We had a nice dinner in Rupert, ID at Henry’s at the Drift Inn. While in Twin Falls, ID we went to Elevation 486 for dinner and highly recommend it. Go early, and you can have beautiful views of the Perrine Bridge and gorge. Hansen Memorial Bridge, pioneer builders. Shoshone Falls, near Twin Falls, ID. We were happily surprised at the amount of water at the falls. We had been warned that sometimes after June, the water slows dramatically. But the heavy rains last winter really have helped with the water flows. Perrine Bridge, the gateway into Twin Falls from the major highways. The bridge is almost 486 feet above the canyon and spans 993 feet across the gorge. Base jumpers jump from this bridge regularly. It is quite interesting to watch. Driving Highway 84 towards Boise, we stopped at Malad Gorge State Park. Here, right next to the highway is a state park and large gorge that cannot be seen from the highway but is right next to it. Driving up Highway 75 via Highway 93 from Twin Falls we made our way to Sun Valley. Being skiers and so close, we had to see it! The route crosses more high desert, small river gorges and large sections of volcanic rock. We went first to Ketchum as Bob’s great-grandparents had had a cabin there along Trail Creek which he was hoping to find. Unfortunately, he was last at the two story log cabin in the 1960’s and didn’t have an address. We covered all the roads near the creek but everything appears to be much newer than a cabin that he had been told was built before 1900. But we saw some beautiful homes and enjoyed seeing how much Ketchum had grown. Sun Valley Lodge and area was built in 1936. The lodge is beautiful and the inside is even more exquisite. We drove back to Twin Falls for a dip in the pool and hot tub, went to a great dinner and got ready to head back to Boise for our flight Monday evening. On the way we stopped at Three Island Crossing State Park near Glenn’s Ferry exit. This park has many amenities for today and shares an important history of settling the west. Conestoga Wagon, restored. This is in front of the interpretive center which was closed for winter. Glenn’s Ferry was built upriver from the Three Crossing site. The Snake River surrounding areas vary widely across Idaho. Here and near Burley there are many easy access points and other areas just the deep, steep gorges. Replica of Glenn’s Ferry, set near the river where it would be dragged into the river. Across the river, the Oregon Trail is worn into the mountain side and clearly seen. One of the ends of the Ferry anchor, another can be seen across the river. We made our way into Boise and went to the UP Train Depot. It was restored about 20 years ago. It is no longer used as a train station but is set up as a museum and event center. We were happy to find it open on Mondays for visitors. Even if it wasn’t a Southern Pacific Depot, Bob knew I would want to stop! Inside the beautifully restored depot. Many small RR displays with full descriptions. One of the 4 bells in the Bell Tower. Tower has great views of Boise. Outside the have a steam engine, displays and lovely gardens. We drove around the Idaho State Capitol Building and the old part of town. Then we went to the Bittercreek Alehouse for a hearty lunch before our early evening flight back to Oakland. Great restaurant, excellent service and interesting building in old town Boise. Overall, a great quick trip. Love being able to pick up good fares on Southwest Airlines and escape to someplace completely different! Fall slips up on us just when we think Summer is perfect. Soon the warm days and evenings turn to the chilly mornings and cool evenings. The colors and lack of crowds are nice, so here’s to October and great escapes! Our friends suggested that we try out the PCT trail section from Sugar Bowl (Old Highway 40) to Boreal Ridge (Highway 80) by leaving a car at each end which is about 8 miles. We just had one car with us so we started from near Sugar Bowl Academy and hiked in for a few miles and then back. Beautiful scenery and lovely fall colors. We had friends visit from Switzerland and Australia in October. So we had a great time playing tourists with our friends. We spent two days seeing the San Francisco sights, one day using BART and public transit and the other day driving. First in San Francisco, we took a walking tour with Emperor Norton’s Walking Tours that started at Union Square and ended at St. Mary’s Cathedral. About 3 hours, great fun and wonderful guide. Highly recommend this or one of their other tours! After our tour we visited St. Mary’s and then walked up to North Beach. We stopped for a snack at The Stinking Rose. We sat at the bar with model trains above the bar. We also took a look at the Chianti Room which is reserved for groups and has many signed photos and empty Chianti wine bottles. Washington Square in North Beach was full of beautiful sunshine and everyone seemed to be enjoying the clear skies. Just the day before the sky was filled with smoke from all the Northern California fires before the wind changed. Our hearts go out to all those affected by the fires. Our other visitor from Australia was with friends in Clear Lake and had also been evacuated but luckily they were able to return home safely. We ended the day attending the evening production of Beach Blanket Babylon. The longest running musical revue in San Francisco which changes every season and is truly a delightful show. Another day we drove so that we could come up from Pacifica, CA along the Pacific Coast Highway to visit Ocean Beach, the Cliff House, Sutro Baths, Golden Gate Park, the Palace of Fine Arts in San Francisco. Then drive across the Golden Gate Bridge to Fort Baker at Horseshoe Cove in Marin County. The day was foggy along the coast but beautiful sunshine in parts of Golden Gate Park and at Fort Baker. The Butterfly Exhibit was open and we were able to see many different butterflies emerge and fly in the exhibit. A lovely part of San Francisco to walk around. You can see the nicest houses near the Palace of Fine Arts. We drove over the Golden Gate Bridge in complete fog but were rewarded with some nice views from Fort Baker. We had the luxury of staying at a friends condo in Capitola, CA so we had time to visit Santa Cruz, Monterey, and Carmel before our friends headed home. We drove Highway 1 from Half Moon Bay to Santa Cruz. On our way we stopped in at Duarte’s in Pescadero, CA. In Santa Cruz we walked the beautiful walkway along the ocean and enjoyed watching the surfers. The Boardwalk amusements were quiet since it was a week day and late October. Both Santa Cruz and Monterey are on Monterey Bay, which is a very large bay. While Santa Cruz is know for beaches and the Boardwalk, Monterey is steeped in California history. It has a large pier area, beaches, the Monterey Bay Aquarium, Cannery Row and a lot to keep you busy. We had lunch at the Fish Hopper which is the restaurant below. Back when we did SCUBA diving in Monterey regularly it was called the Outrigger. Still great food and even better views. We watched the sea otters all during lunch. Capitola, a beautiful town that keeps the quaint seaside village feel near the beach and offers upscale shopping and dining in town. Don’t miss Gayles Bakery if you go to Capitola; it has the most wonderful cakes, pastries and sweets! We love the coast, but we also took our friends to two new hiking areas near us that were just beautiful with the fall colors. Weber Lake was recently opened to the public in June 2017 by the Truckee Donner Land Trust. A beautiful natural lake that offers camping, hiking trails and boating on the lake during the summer months. We hiked the Lacey Meadow trail and then up onto the forest service road to have a view of the lake on the way back. Independence Lake is another recently opened area that is just beautiful. We hiked the South Side trail and it was filled with fall foliage and views of the lake. An easy hike with a picnic table at the lookout point to enjoy lunch. The map looks like you can go all the way around the lake but they prefer that you don’t as it is a fish breeding area for Lahontan cutthroat trout and crossing the creek can disturb the hatchery. So, as you can see, we have had a busy fall. Loved having our friends choose to visit us from opposite ends of the globe and share time with us. Here is the link that didn’t seem to work on the last post. The Bibbulmun Blog by Ian K. Brown is a beautiful and informative blog about hiking the Bibbulmun Trail in Australia. I’m a day hiker so I really appreciate this perspective of someone willing to backpack a trail like this! If you scroll all the way to the bottom there are previous and next buttons to just continue reading (after the comments section). They are up to day 25 and many posts cover multiple days so you can catch up quickly and then sign up for updates. Beautiful descriptions and pictures in his blogs. Last year he did a blog about the Pacific Crest Trail along the ridges of the US West Coast and published a book with amazing pictures. 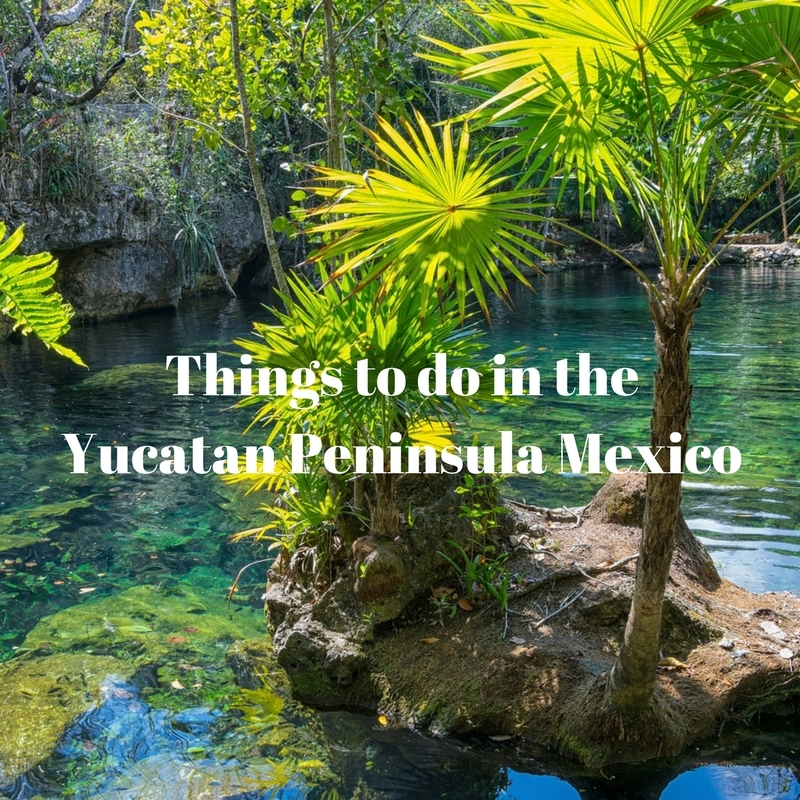 If you have plans to go to the Yucatan Peninsula in Mexico, check out this post from ‘To Travel Too’ blog. This is a complete guide to various locations on the peninsula.